Leandro GONZALEZ PIREZ is in the final of the MLS Cup with Atlanta United but the Argentina man dreams of getting called-up for the national team. Already 26 years old, a product of the River Plate academy, PIREZ has represented his country at the U20 level but has yet to get capped for the senior side. Speaking in an interview with MLSSoccer.com, the defender is hoping to one day put on the Argentina shirt. 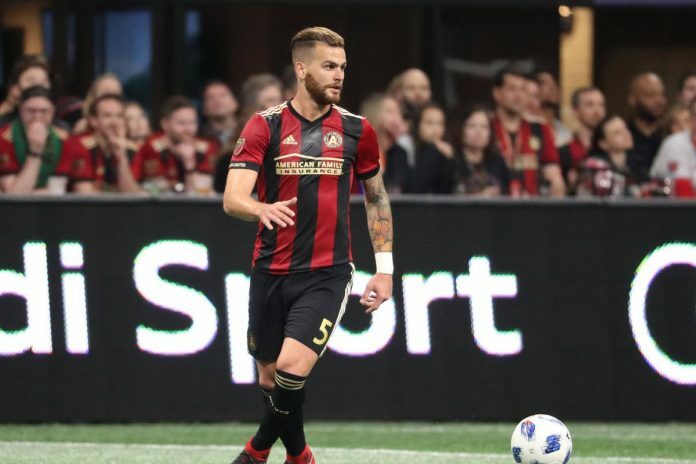 PIREZ, along with a number of other Argentine players will take part in the MLS Cup final on Saturday when his Atlanta United host the Portland Timbers. Do you even know who is Kevin de bruyne ? I don’t like to make personal attacks but your “farmer” comments are getting old. Grow up and learn something. Or go make your dream team on FiFA video games. This site doesn’t need meat heads. Playing position and club and how are they ? the first is Colombiano so no matter of. Balerdi is CB who just starts getting more minutes in starting eleven of Boca just like another youngster followed by Real – Agustin Almendra. Lose position if inter would have been. Problem to juve but spellati is coward. hey mate, honestly I think Juve has been already quite fair with Dybala. He has been less good recently when Pjanic wasn’t there to provide and he shows his limitation whenever he need to drop deeper, hold the ball and do the playmaker work. With Marotta’s nomination, he said he may bring several players from Juve including Dybala. As you said, Spaletti is very conservative guy and won’t change easily his 433, I don’t know how Dybala can fit in. I actually don’t like how they play football, no creative midfielder, heavily rely on the 2 wingers for counter attack, then pass the ball either to Icardi or Nainnggolain. Yes Inter is horrible to watch, this pair Veccino+Brozovic only sending long ball. With Marrota, I hope he will try to sign more Argentine midfielders like Paredes and Pity. Come on… The level of MLS is similar to China or South Korea league… And He is even a mediocre player in MLS…..
His FIFA19 rating could be 58 if he goes to Europe. Cristian Pavon is fit and set to start in sunday. While in River 18 yo talented CF Julian Alvarez may got some minutes is the final with Scocco and Borre being both out. When he was 11 trained with Real Madrid but decided to left Europe. Gonzalo Martínez and Lucas Pratto. this is possibly our starting 11 against BocAfa on sunday my friend. Rosario Central the winner of Copa Argentina 2018. That was their 4th final of CA in last 5 years. An that’s the first win. Deserved. 4 time league winner, Copa Conmebol 1995 winner, club of best public in wholecountry finally got also his Argentina Cup. And who was the man that took Central to the triumph. Our not old friend Edgardo Bauza. It’s just does not work when our coaches are taking NT. Andrada, Gonzalez Pirez, Nervo, Pezzella, Galeano, Tagliafico – once great defensive line in U-20 WC. The truth is nobody will care about MLS, and even worse, once you are there it’s hard to get out because no European club would bother to send agents to follow MLS. That’s why I feel so bad if Pity will play there. By the way, some rumours on Paredes may join PSG who has been looking for a regista since a couple of years. De Jong is another option. It may be a good opportunity for Paredes to leave Russia. That won’t be a good option for him. P$G isn’t the kind of team in which young players can develop and flourish quickly. Although Paredes isn’t too young but he hasn’t reached his prime yet, so he still is a developing player. As a die hard fan of Valencia I always like to see him in the colours of Los Che but that may not happen soon. Anyway, I hope he will take the best decision for his career. Zenit is not such a abs club after all, Regular appearance in European tournaments.